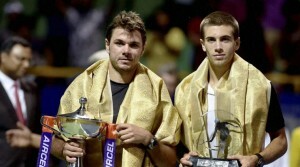 Star Swiss player, Stansilas Wawrinka won his fourth title at the Chennai Open, after comprehensively thumping Croatian Borna Coric 6-3, 7-5 in straight sets. 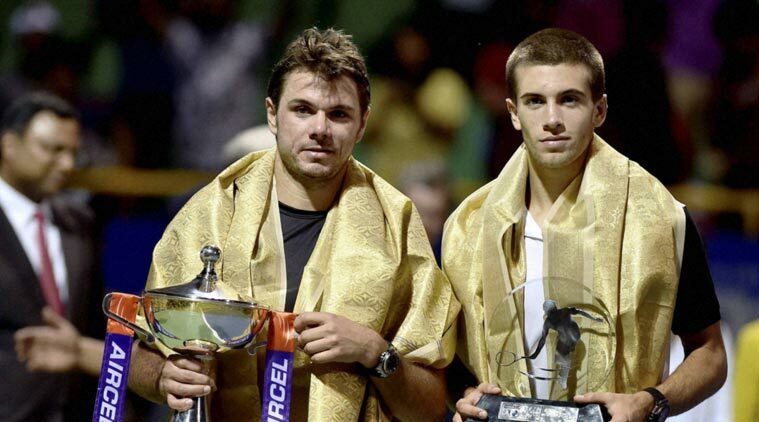 Wawrinka defeated Coric, and extended his winning run at Chennai to 12 matches, and 24 sets. As many as 15 aces and the trademark Wawrinka backhand brushed aside any resistance from the 19-year old Coric. It was the fourth title in five finals for 30-year-old Wawrinka, who had finished runner-up in 2010 and won his first title in 2011 at the hard court venue. He also won in 2014 and 2015.